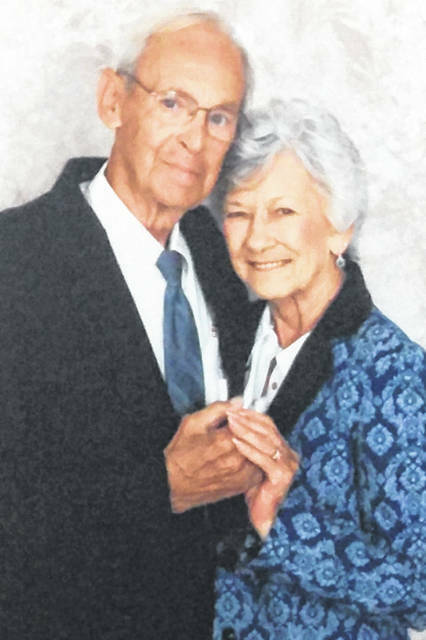 GALLIPOLIS — Harold and Frances Hayes of Gallipolis have celebrated their 64th wedding anniversary. The Reverend Green of the First Baptist Church of Gallipolis married them June 25, 1954. Harold retire from the US Air Force after serving 22 years and then retired from Burlington Northern Santa Fe Railroad in Barstow, California, after 18 years of service. Frances retired as a business instructor from Victor Valley College in Victorsville, California. They are the parents of two sons, David Hayes of Gallipoli and Chris (Corrine) Hayes of Apple Valley, California, and Dylan Hayes of Gallipolis.